On February 21st, 2019 the IMAGINE IF! 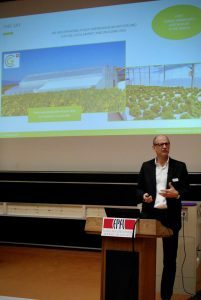 Swiss Finals have been held at EPFL in the CO2 auditorium hosting more than 70 people coming from EPFL, start-ups and companies. 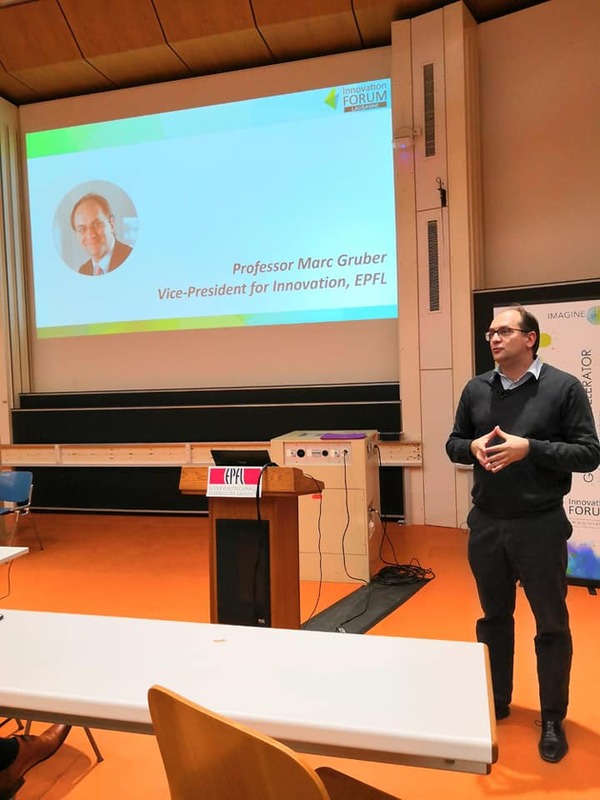 After a brief Innovation Forum Lausanne introduction by the association President Claudia Bigoni, Marc Gruber, Vice President for Innovation at EPFL, warmed the audience with a great talk about Lausanne start-up ecosystem and how to identify and exploit opportunities for entrepreneurs. Afterwards, Diego Dupouy, co-founder and CTO of Lunaphore, was invited to describe his startup and the journey that brought it where it is today. At Lunaphore they are creating an automated technology for tissue diagnostics with microfluidic immonochemestry techniques. Earlier this year they released their first product LabSatTM. Concluding the talks sessions, Serge Gander, CEO of CombaGroup SA, introduced his company, which has developed an aeroponic system to grow soilels vegetables. The beneifts of this agricolture method, especially in the view of sustainability, have been highlighted. Audience Prize: thanks to a hot-tie the audience at the event elected our next 2 Innovators of the Month: Swoxid and Neurosoft! 1-month desk-space at Swissnex in San Francisco, CA to the first place-winner in the cleantech field: hiLyte! 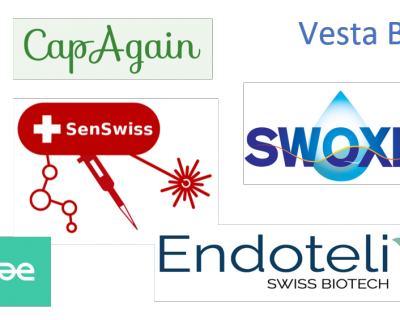 3-month lab space at Startlab, Biopole chosen by Olivier Philippe, ruolo at Biopole: SenSwiss! First place-winner in the healthcare stream & 3’500.-CHF non-dilutive cash prize as first-place in the overall competition: Neurosoft! Neurosoft presented a novel device for treating neurological diseases: a soft interface that allows conformity to the curvature of the brain or spinal cord, contrary to the rigid systems currently used in clinics, providing better performances. Improving such technology represents an important step forward in the medtech field. We are honored to support it. hiLyte introduced an environment-friendly consumable-based iron battery for a very specific tagret: helping people living out of the grid, as the Sub-Saharan Africa population, that currently uses expensive and polluting kerosene to get light and phone charging. Their idea only only needs iron, paper and iron salt to generate enough power for 5 hours. The impact is uncountable. 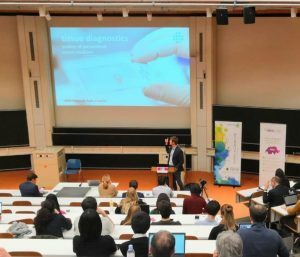 Innovation Forum Lausanne works for supporting such impactful ideas and promoting their success since their very first steps! That’s what IMAGINE IF! Accelerator is really about. To know more about our Top10 start-ups, read here. Congratulations to the winners and the best wishes to all our applicants! We can’t wait to see your next brilliant achievements.